F&I is an acronym for Finance and Insurance. It refers to the finance department at a car dealership that provides loans, verifies auto insurance, completes DMV documents, and offers service plans during a car purchase. What does an F&I Manager do? ​An F&I Manager offers finance and insurance products during a car sale. In addition, he or she prepares the state and legal documents, checks the deal structure for compliance, and reviews bank guidelines for loan funding. What is an F&I Menu? 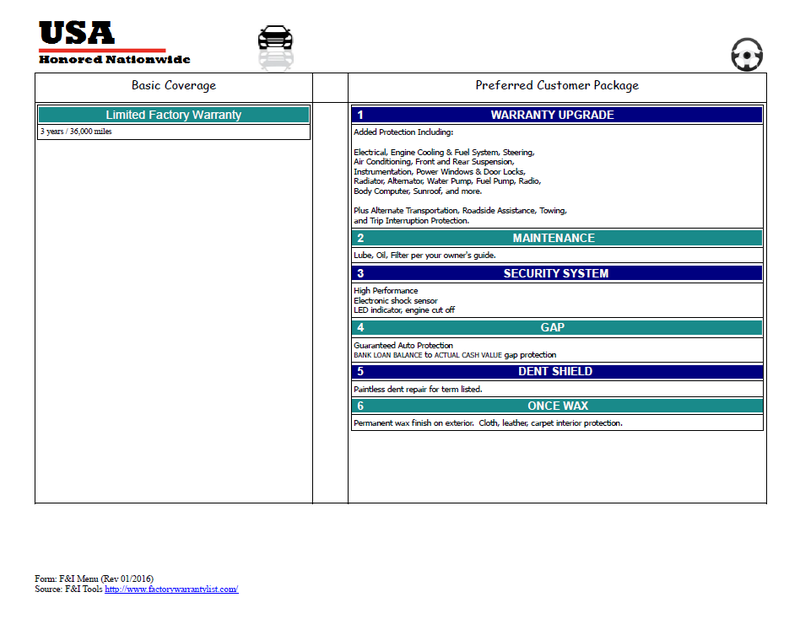 An F&I Menu is a list of insurance products offered during a vehicle purchase. Menu package selling is beneficial to consumers and dealers because it gives a full disclosure of all possible products and allows buyers to choose some, all, or none. It is a more comfortable presentation compared to the old way of offering one product after another.